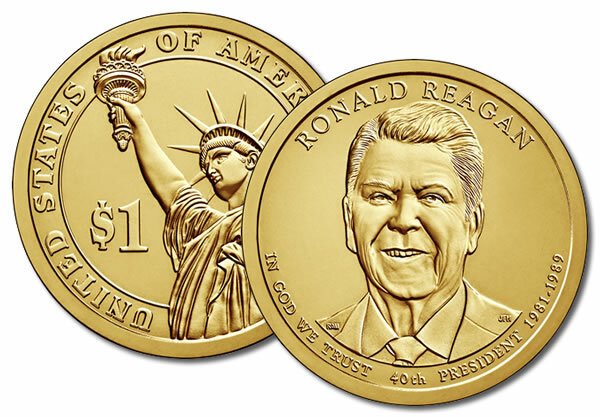 Uncirculated P Mint version (Philadelphia Mint) - The third and final Presidential Dollar Coin of 2016 featuring our 40th President, Ronald Reagan, was released on July 1, 2016. Ronald Reagan served as U.S. President from 1981 through 1989. Reagan was previously a popular Hollywood actor and earned the nickname "The Gipper" for his role as Notre Dame halfback George Gipp in the 1940 film Knute Rockne, All American.